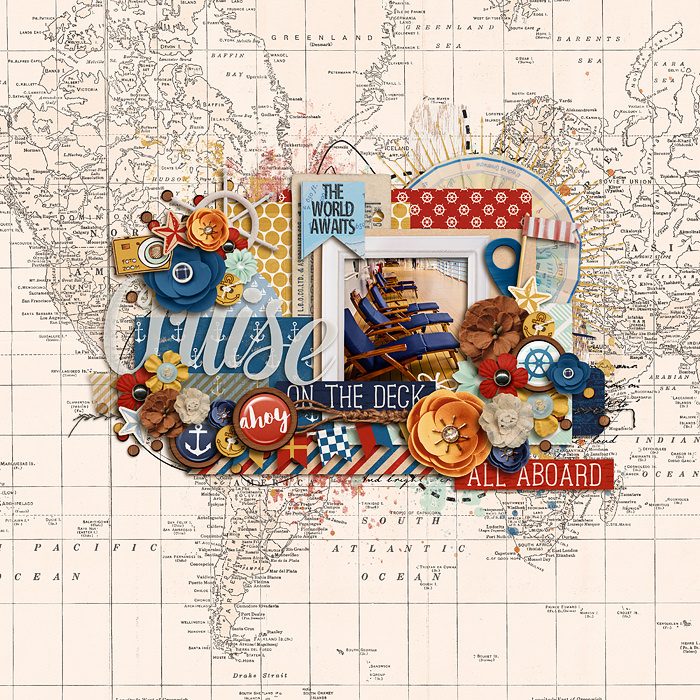 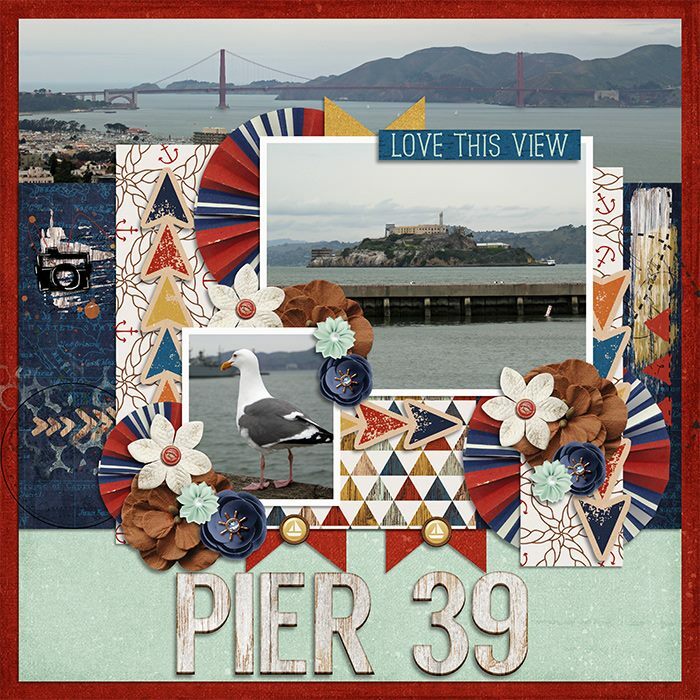 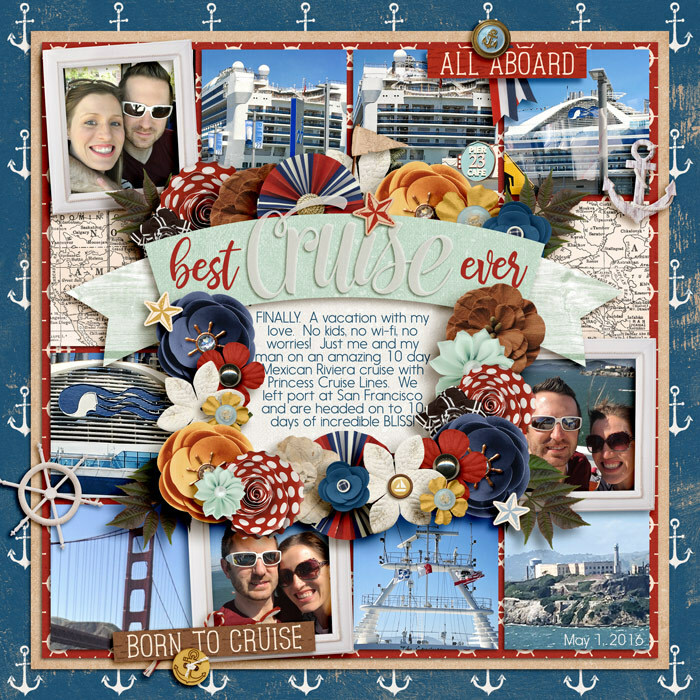 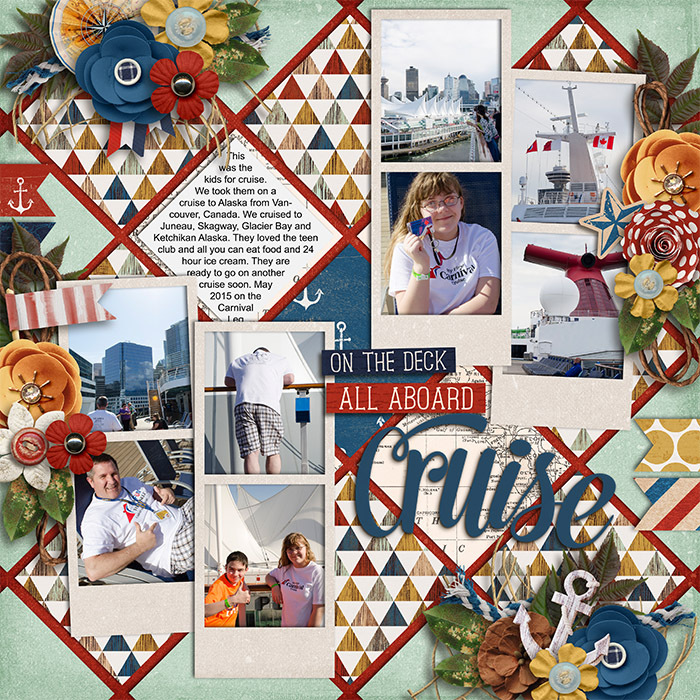 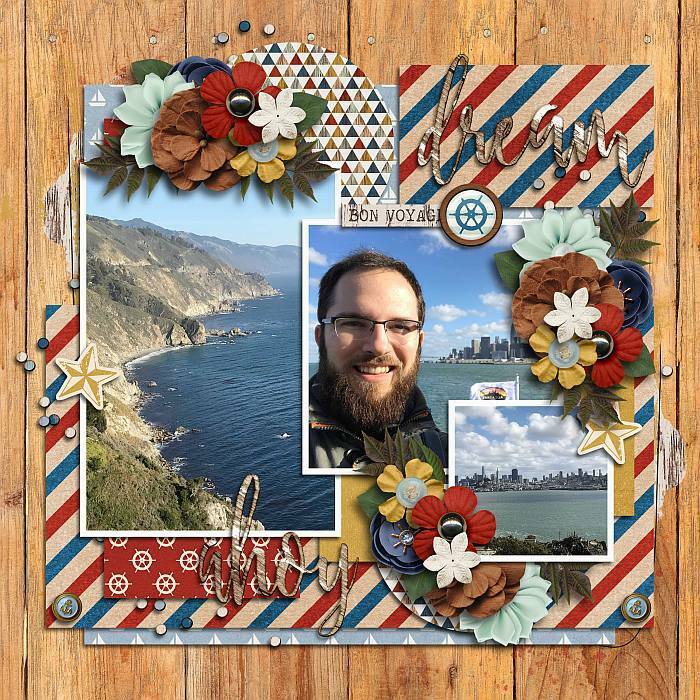 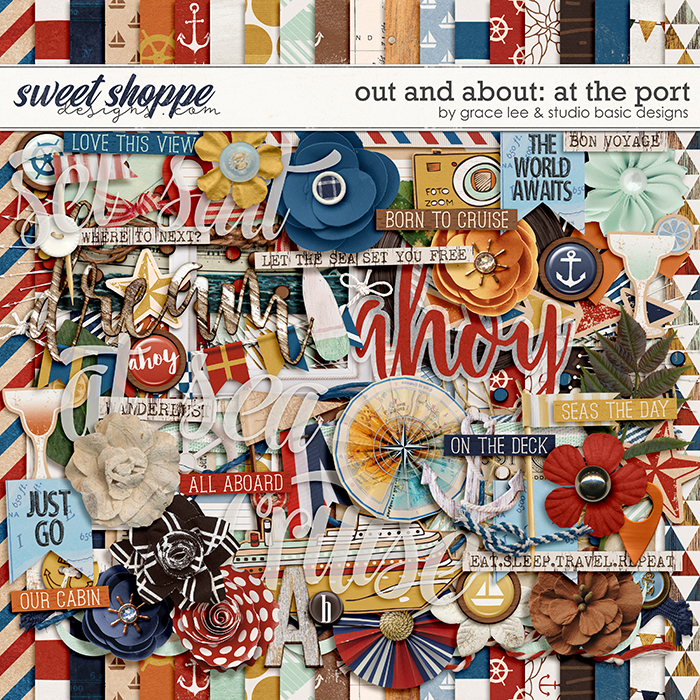 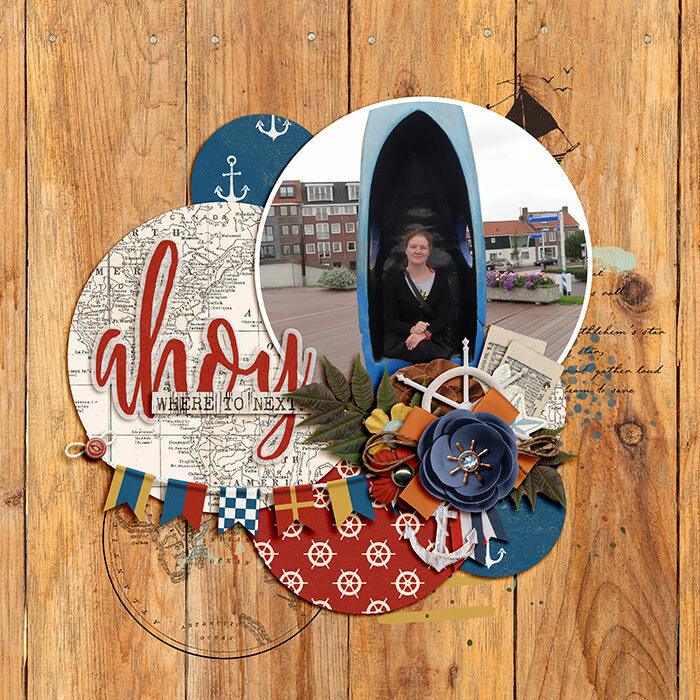 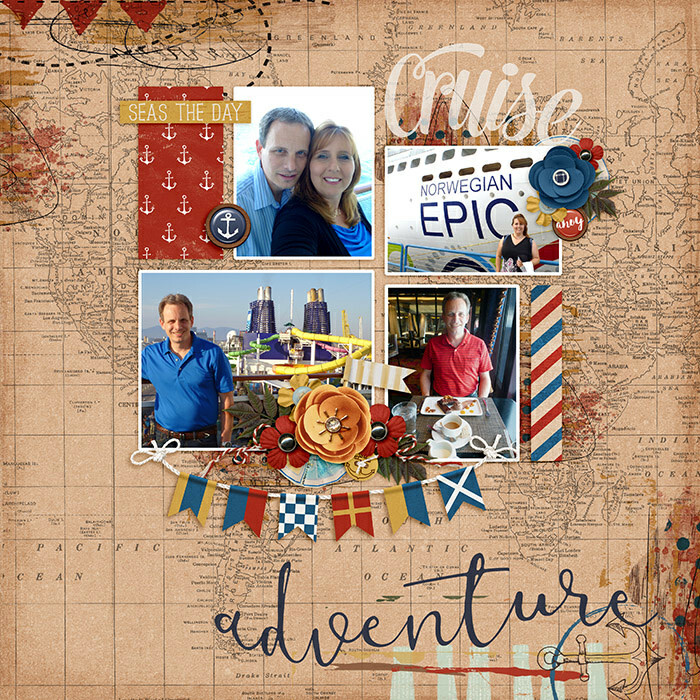 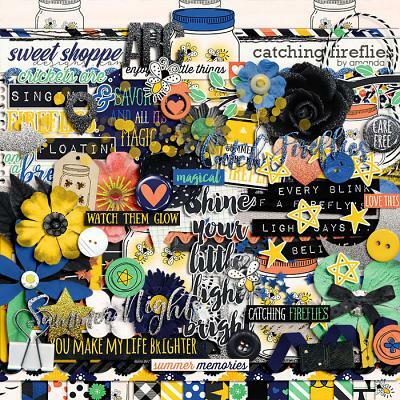 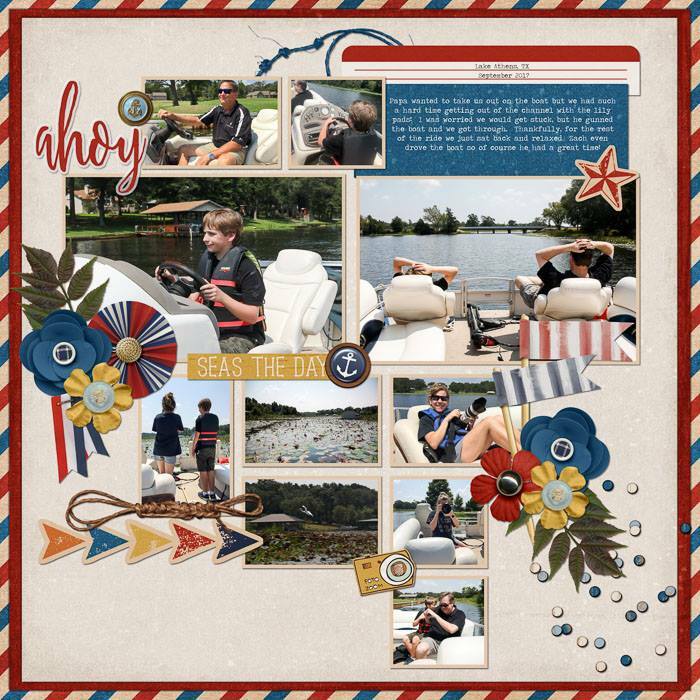 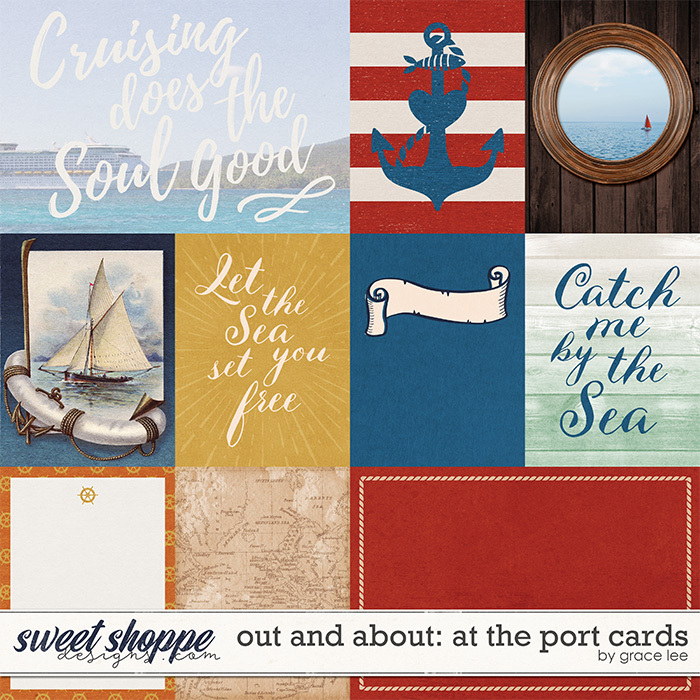 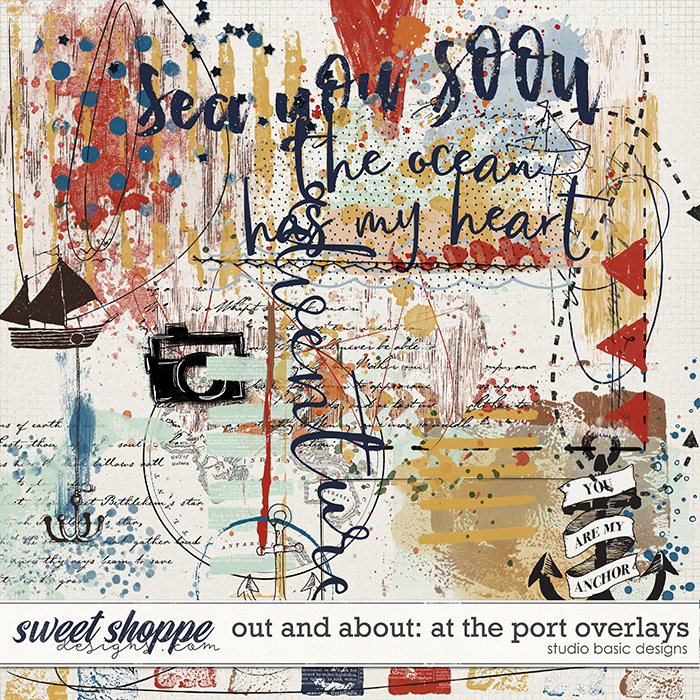 A digital scrapbooking collection by Grace Lee and Studio Basic Designs, Out and About: At the Port Bundle will make you want to put on your deck shoes and head out to sea immediately. 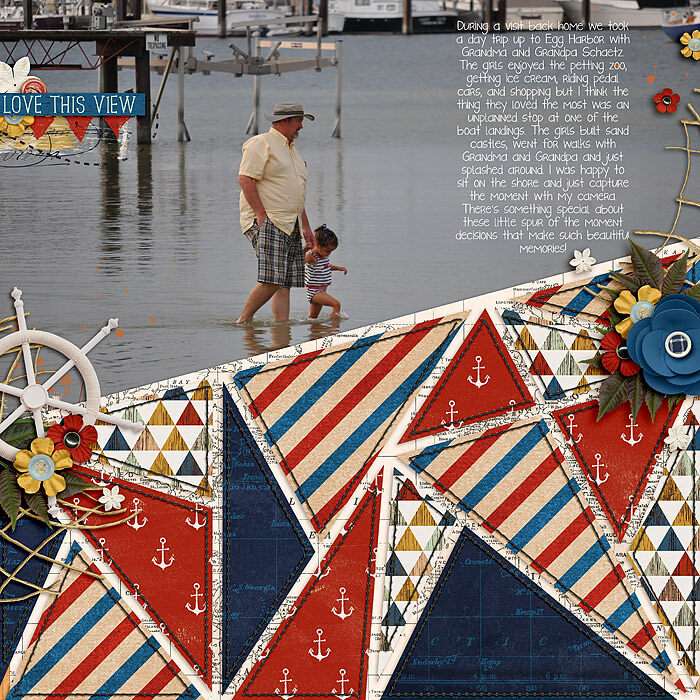 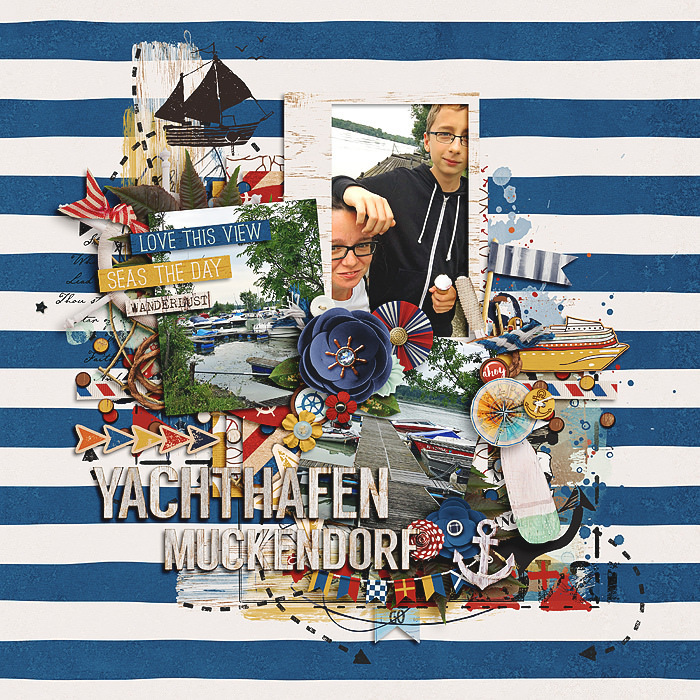 Wonderful nautical colors and elements will inspire you to create countless layouts of boating trips, lounging by the water with a cool drink in your hand, or cruising calm seas. 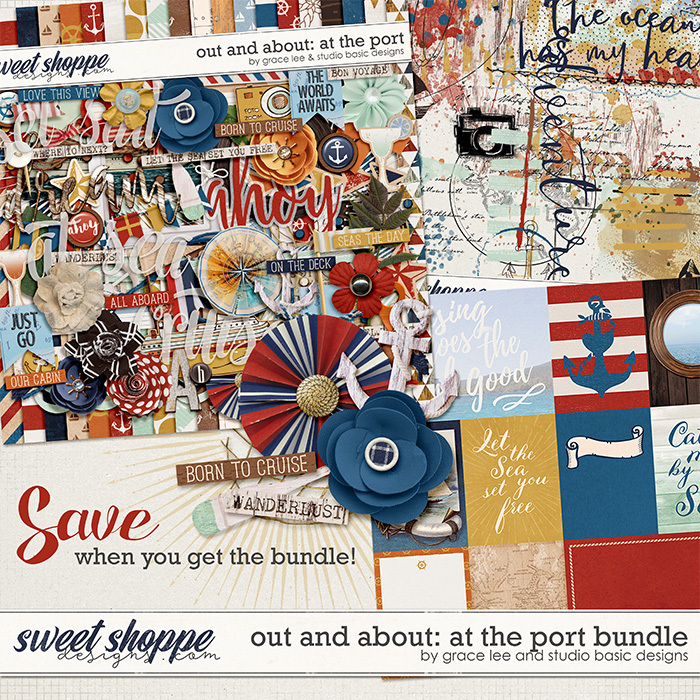 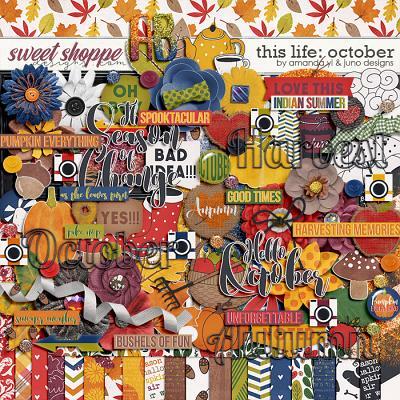 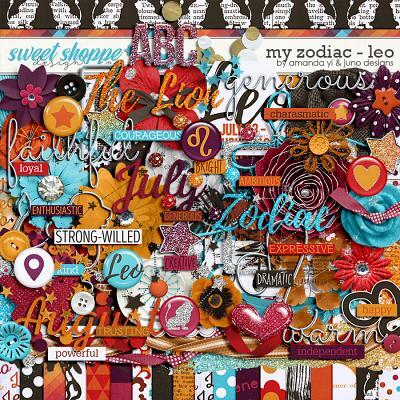 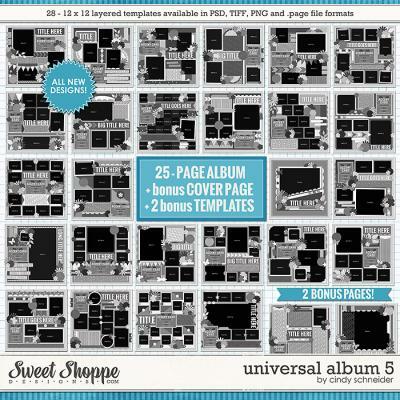 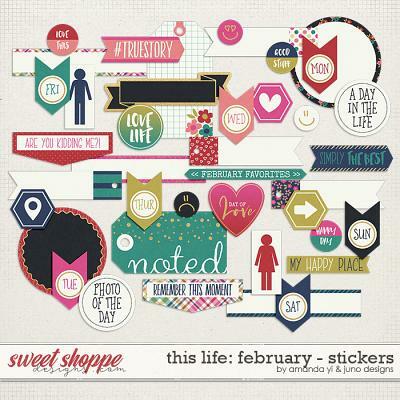 So put on your sailor cap and get this collection into your scrapbooking stash today! 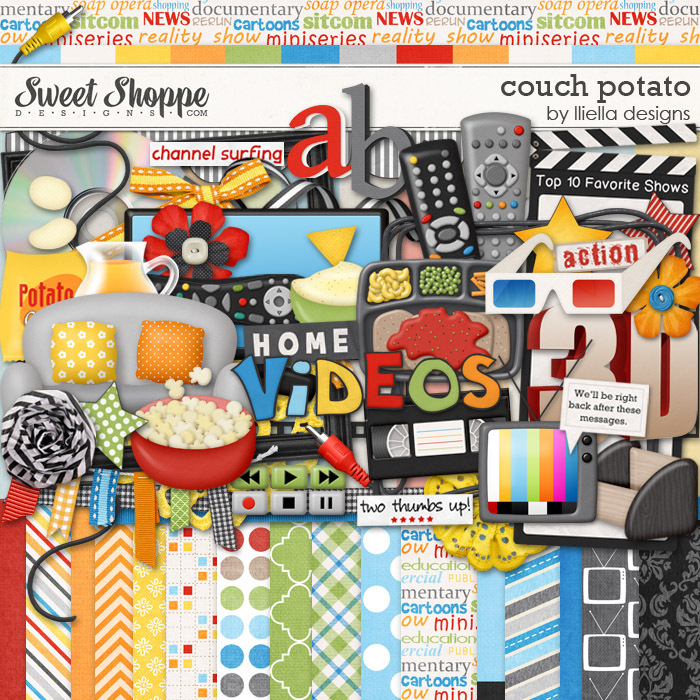 and 12 paint and image overlays.